Eating on the road or in the air is stressful and challenging when you’re dealing with special diets. However, I’m starting to feel like I’ve got a handle on staying satisfied and hydrated, no matter the method of travel or duration of the trip. I’ve got family in various corners of the country. Tristyn is about an hour trip by train to NYC, while Toryn and my parents are quite a bit further, requiring a few hours of air travel to Oklahoma or Minnesota, respectively. Just last night at a BBQ, I was talking with someone about how it seems to be more common now than ever for kids to leave the nest and relocate far, far away. On a weekly basis I mingle with folks whose families are much farther away than mine, in places like Mexico or Brazil. So chances are, if you’re reading this, you might be in the same boat, and you probably make it a point to visit family, whether in the next city, state, or country, as often as possible. With summer travel season upon us here in the U.S., I wanted to share my insights about packing good-for-you, often vegetarian travel snacks. In today’s post, the first in a two part series, I outline the basics of packing healthy sustenance for travel. Sounds like serious business! Really, though, mostly I just took the time to write down common sense pointers that I’ve learned the hard way in times of what we might term “common nonsense”. I’ve transformed spring rolls into a soggy mess, experienced scary mid-flight fainting episodes, and magically morphed granola bars into gooey, chocolatey messes within dangerous proximity of carefully packed wedding clothes. Next time, in part two, I’ll share my shopping list of tried-and-true vegetarian travel snacks whether you’re going via plane, train, or automobile. Regardless, the same basic “portable picnic” works for me every time, and once you tweak it to your liking and specific diet or method of travel, you won’t have to reinvent the wheel and come up with a brand new list of snacks to pack for every trip. As always, your comments are much appreciated and are sure to help me and other readers. Since I don’t travel with kids, I especially welcome input on how to modify my advice to make it more kid and family friendly! Chances are, you landed on this page precisely because you’re already meatless or dealing with another special diet. However, if you eat meat regularly, I’d argue that going meatless, or even vegan, when packing travel snacks is the most safe and durable option. Plant-based foods and ingredients are generally much safer to transport over long periods of time at room temperature than their animal-based counterparts. I would never want to deal with food-borne illness on the first day of a trip, or worse yet, in the air. Additionally, plant-based snacks such as fruits and nuts last longer in transit, especially in the absence of a cooler, such as during air travel. Yogurt, cold cuts, and cheese (with an exception I’ll mention in part 2) might make it to the airport but not much longer than that. On the other hand, some easy homemade granola will last indefinitely at normal room temperatures. Even if you’re strapped for time, you can still pack snacks for travel so you know where your food is coming from. Later, in part 2 of this short series, I’ll offer ideas both simple and involved for healthy vegetarian travel snacks, but choosing portable, whole foods provides plenty of no-cook, no-fuss options to keep you satisfied wherever your journey takes you. 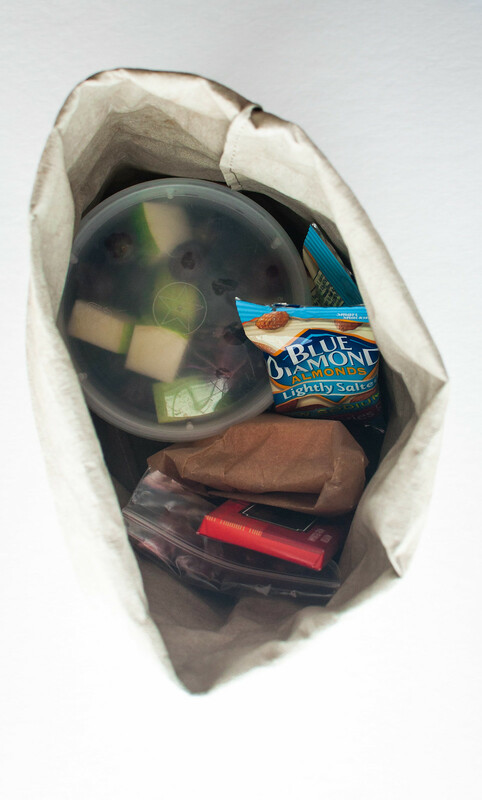 A small bag filled with an apple, a few olives, raw veggies, nuts, and a dark chocolate bar answers your need for fat, fiber, protein, and a little something sweet, yet you may already have these items at home, ready to pack up and join you on vacation. Even if you’re not cooking or baking–in which case, hurrah for keeping it simple (see #2)–take a few minutes to prepare produce and other snacks that are easier to eat if sliced or otherwise prepped. 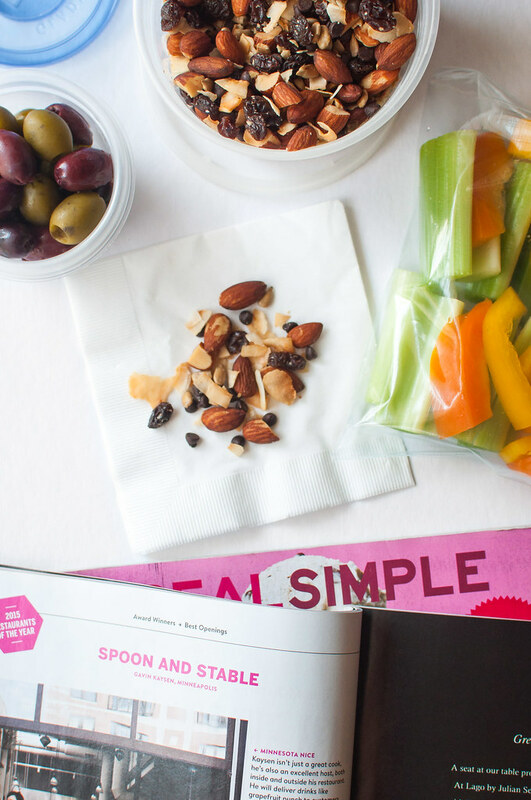 Wash that apple, chop up a bell pepper, and drain olives for more seamless and convenient in-transit snacking. No, not with vitamin tablets. Some healthy snacks and beverages are increasingly easy to find in airports, at rest stops, and even on gas station shelves. Take into account your method of transportation, and don’t feel guilty for supplementing by purchasing whole fruits or fruit salad, beverages, or “liquid” items like hummus that won’t make it through the security checkpoint. Sure, it might not be the highest quality or organic, but it really is better to eat a few wheat-based pretzels and hummus and a non-organic apple than it is to choose highly processed chips, French fries, or candy. You’ll feel the difference, especially when your body is otherwise taxed by jet lag and long days. Flying? You’re likely all too familiar with the TSA restrictions on liquids for flights originating in the U.S. If you’re like me, you save that precious liquid allowance in your carry-on for toiletries, so make sure to review your snacks for items that aren’t a super-obvious liquid. For example, I sometimes overlook guacamole, nut butter, and hummus. All are great vegetarian travel snacks for other methods of transport, but TSA will probably be a little more careful than you were at home and make you toss your sustenance. On the flip side, at the time of publishing this post, solid food is most certainly allowed through TSA security checks. I’ve encountered a lot of people who didn’t realize that bringing food with you is totally permissible! 6. To save space, go high fat. If space is at a premium, you may have to supplement with food purchased en route (see #4). However, you can get a lot of satiety out of a few small, high-fat snacks like nuts, seeds, olives, and cheese (see upcoming part 2 for advice on making cheese last during travel). Chopped avocados that haven’t been smashed into guacamole are also a good non-liquid option. Sweet ideas include chocolate or flaked, dried coconut–or a combo of the two for a simple dessert trail mix. Despite the urge to munch during boring travel, try to listen to your body. When eating high-fat foods (and hydrating like crazy) like the ones listed, I often find my other snacks go untouched because I stay full for so long. 7. Pack enough for the return trip. As I mentioned in #6, travel can be boring, but try not to munch absentmindedly. Besides avoiding extra calories, eating only until satisfied on a trip, in conjunction with some planning for serving sizes and number of people you’re feeding, ensures that you return with 50% of the food you brought–enough to feed you on the way home. I hate coming back from vacation, and avoiding hanger (see also, hangry) is one factor that can reduce the impact of the post-travel slump. 8. No-bake is a no-no. No-bake treats are everywhere, especially in the plant-based blogosphere. They’re quick and easy and perfect for weekday snacks. Unfortunately, I have to report that they aren’t good candidates for vegetarian travel snacks. Without the heat of baking; eggs, fats, and sugars don’t have the chance to all “gel” together (reminder: I’m not a chemist). Often, no-bake treats are bound by freezing or refrigeration instead of the chemical and other science things that happen during baking. And what happens when a cold ball of oats bound with honey comes to room temp on a long flight or road trip? You got it. A disintegrated, sticky pile of oats that probably only your five-year-old will find appetizing. Alternatively, these granola bars from Oh She Glows require some planning and baking, but they’re the most durable homemade granola bar I’ve ever encountered, perfect for any method of transportation. 9. Assemble a snack kit. Plastic shopping bag or other trash bag. Don’t get caught with an apple core and nowhere to throw it! If you won’t have much trash, a small, plastic, resealable bag works just fine for garbage. Utensils needed for your snacks, either real or disposable. For TSA and/or general safety purposes, avoid knives and cut food in advance at home. Wet wipes or a small washcloth if you’ll have access to a sink. Disposable or reusable napkins or towels. I usually go for paper towels out of ease. 10. Don’t forget to hydrate! A reusable water bottle is a must for saving money and the environment. If you’re flying, don’t forget to empty your bottle at the curb or in the parking lot before you go through security. Once you’re into the gate area, it’s exciting to see how many airports now feature a station at the drinking fountain specifically built for filling your bottle without a mess (or maybe they just got sick of cleaning up the puddles on the floor?). For really long trips, consider an extra boost in the form of electrolyte tablets, many of which are totally palatable and come in an easy-to-carry canister. The tablets provide the same electrolyte benefits as sports drinks like Gatorade, without questionable food dyes and tons of added sugar. I’m a pretty dedicated coffee drinker, but I often make it a point, especially in the morning hours, to drink an unsweetened iced tea before a flight or long road trip. You can choose one with caffeine for the same boost as coffee, while avoiding coffee’s diuretic (read: “I must find a bathroom now!”) effects, which can reduce hydration. Tea also doesn’t inhibit your body’s absorption of iron as coffee may, an effect which can make you feel tired and “off” before a flight. Finally, a squeeze of lemon juice in your tea or water is thought to alkalize the body. It seems the issue is still up for debate, but as a former lemon juice hater, I can attest that my acquired taste for lemon water or lemon tea brings balance to my stomach and body. I try to maintain the ritual not just in transit, but every day during a trip. It especially helps me, even if the effect is psychological, with hangovers from excess drinking that often accompanies travel to weddings. To read more about the science behind lemon juice and other alkalizing foods, check out Rich Roll’s book, Finding Ultra. 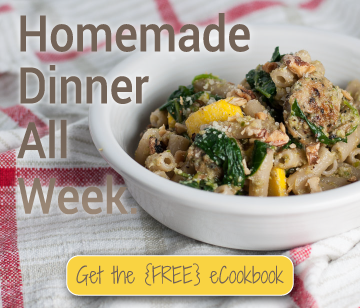 Amazon affiliate links below and throughout this post keep Natural Comfort Kitchen up and running…thanks for your support!